Photo 037. Bismarck Conducting Sea Trials. The Bismarck conducting sea trials in the Baltic as seen from the afterdeck of the cruiser Prinz Eugen in April 1941. 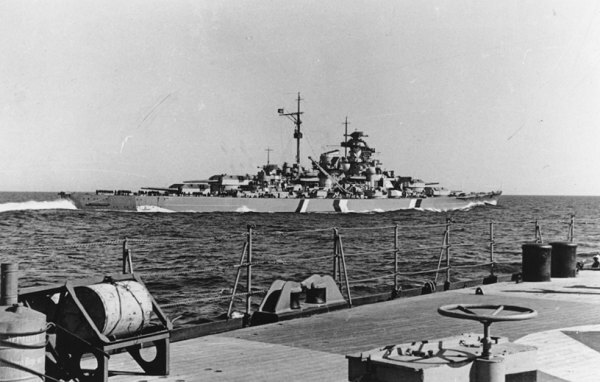 Note the angled black and white stripes over Bismarck's hull as well as the battle flag hoisted on the mainmast.